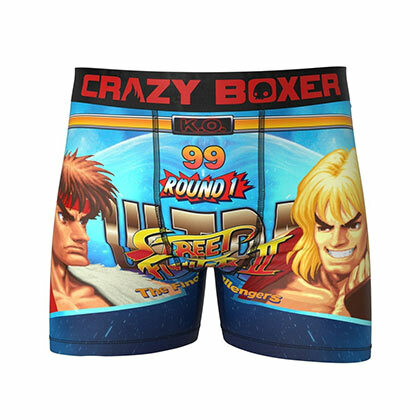 Officially licensed men's Street Fighter boxers. These boxers are made from a 92% polyester and 8% elastane blend. Features an image of the "Ken Vs. Ryu" loading screen.